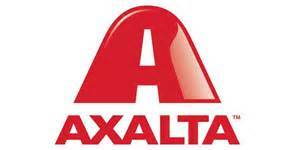 Axalta Coating Systems (NYSE: AXTA) was one of 55 suppliers recently honoured by Honda North America for achievements in providing sustainable parts and materials. 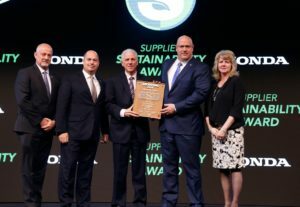 At the 33rd annual Honda Supplier Conference in Birmingham, Alabama, Honda recognized Axalta for the “exceptional commitment to social responsibility” demonstrated at the company’s Mount Clemens, Michigan, manufacturing and R&D facility. The award evaluates programs devoted to sustaining the environment, health and safety, human rights, and compliance and ethics, among other criteria. The award was previously known as the Honda Corporate Citizenship Award. Axalta was recognized for the company’s introduction of waste reduction initiatives that resulted in processing nearly one million pounds of solid waste using waste-to-energy technology, which avoids landfill disposal and generates income from the recyclable materials. During the conference, Honda emphasised the importance of quality and innovation as the key to navigating the future of changing customer demand which aligns with Axalta’s commitment to understanding customers’ emerging needs in order to provide them with innovative and sustainable coating solutions.